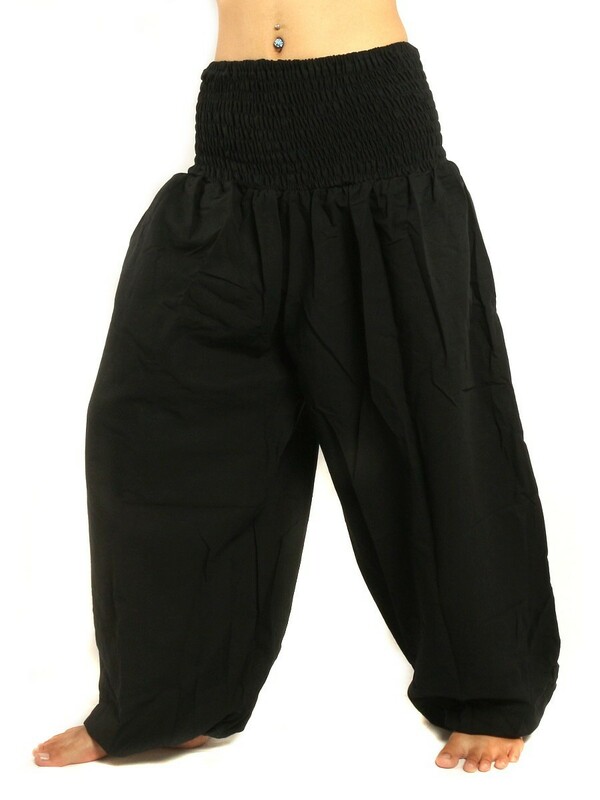 ✅ Oriental cut bohemian style casual pants for every occasion where loose fit is a must. Wash separately and cold for the first time then machine wash delicate cycle or hand wash and hang dry. ✅ Elasticated waist and ankles for comfortable fit and one side pocket on the right. ✅ The pants comes in two flavors, choose from plain cotton or cotton mix. For cotton mix please click on the jing shop link above the product title and browse our catalog. 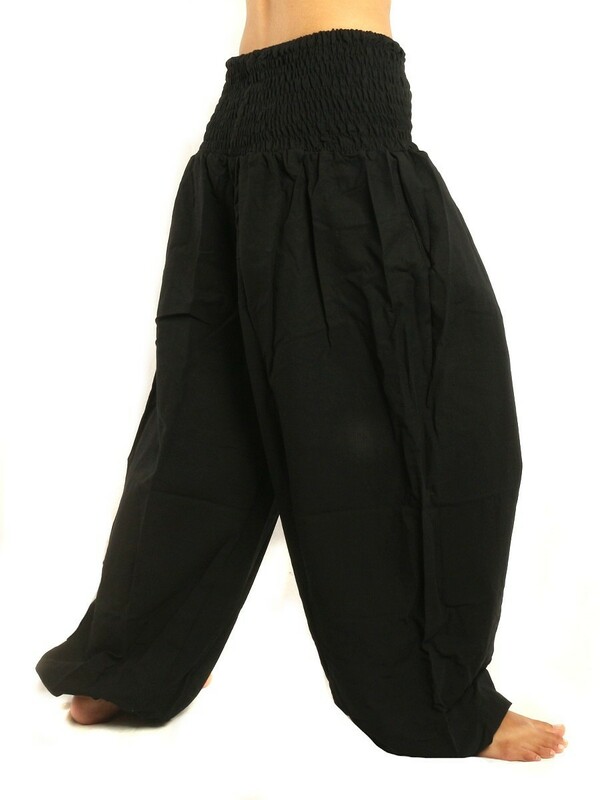 Made in Thailand with LoveHarem baggy aladdin pants with smocked waist and wide legs for those who love freedom and the simple way of liveFor reference: Model on picture is about 5 feet 3 inches but pants is suitabable for taller persons, too.Please compare the inseam and other measurements with a pants you already own.✅ Measurements plain cotton pants: Waist: 24 inches -40 inches (circumference). Inseam: 27 inches. Hips: 44 inches (circumference) . Total pants length: 40 inches.✅ Measurements cotton-mix pants: Waist: 24 inches -40 inches (circumference). Inseam: 29 inches. Hips: 44 inches (circumference) . 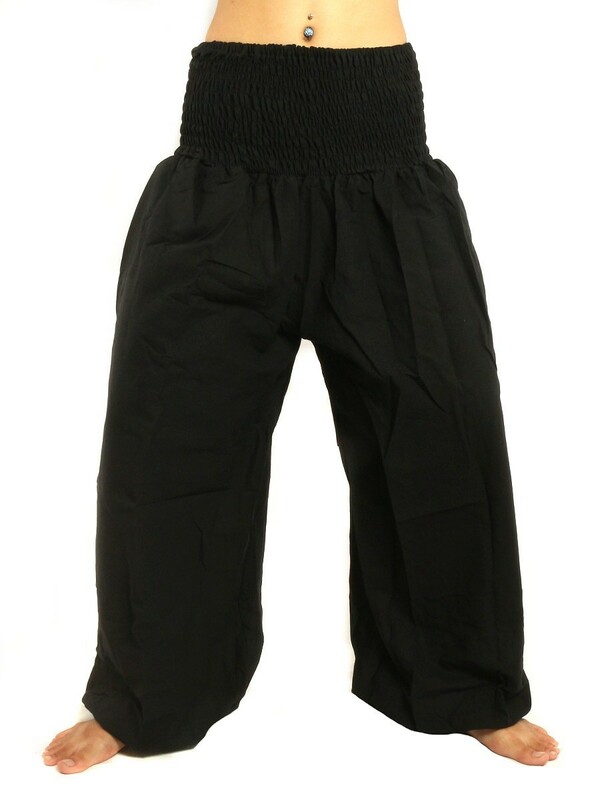 Total pants length: 41 inches.Excellent for times when loose fit and comfortable is a must.Ideal as: ✅ casual pants✅ comfy summer pants✅ belly dance ✅ leisure wearYour perfect companion for✅ festivals and concerts✅ backpacking✅ beach bumming✅ loungingCare instructions:Wash separately and cold for the first time then machine wash delicate cycle or hand wash and hang dry.Attention:Slight color variations are possible due to different screen settings.